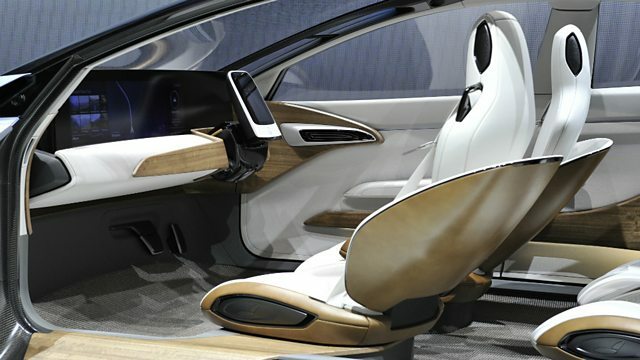 BBC World Service - Tech Tent, Driverless Cars On Collision Course? Will a collision between an autonomous car and a bus dent enthusiasm for driverless tech? Presented by Rory Cellan-Jones. After a Google autonomous car collides with a bus, should driverless tech be trusted? Evan Williams, CEO of Medium (and co-founder of Twitter) on why long-form online publishing has a place in the social-media age. Plus, Nikhil Pahwa, the campaigner who took on Facebook in India over free internet access.Presented by Rory Cellan-Jones, with special guest, tech journalist Kate Bevan. (Picture: Interior of Nissan autonomous concept car at Geneva Motor Show 2016, Credit: Getty Images).